Carlene is a second generation REALTOR®. Her parents, Tommye and Carl owned a successful independent company on the coast and brought their daughter into the business at a young age. When they retired, Carlene bought the company and later a Coldwell Banker franchise, becoming the CEO of Coldwell Banker Alfonso, the most successful real estate company on the Mississippi Gulf Coast. 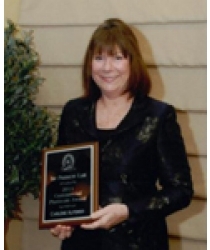 On a state level, Carlene served as President of the Mississippi Association of REALTORS®, REALTOR® of the Year and Chairman of the numerous committees. 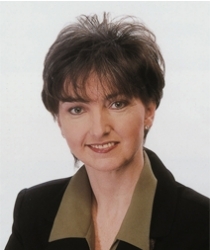 She was a Senior instructor for the Mississippi REALTORS® Institute, recognized as Instructor of the Year in 1999 and 2003, and inducted into the Hall of Fame in 2006. 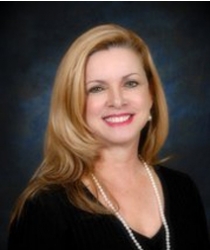 Carlene is a member of the Gulf Coast Association of REALTORS® and served as President, a member of the Board of Directors, and REALTOR® of the Year. Her commitment to education is exemplified by her own achievements; a Bachelor of Science degree in education for the University of Southern Mississippi, and she has earned the following national real estate designations: Accredited Buyer Representative (ABR), Certified Residential Specialist (CRS), Certified Residential Brokerage (CRB), and a graduate of the REALTOR® Institute. 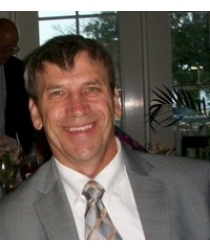 Ray is a commercial appraiser for Dauenhauer and Associates,an adjunct professor for the University of Mississippi, and holds a Broker license for real estate in Mississippi. He serves as a member of the Mississippi Association of REALTORS®, the Commercial Investment Real Estate Institute (CCIM), and the Appraisal Institute. Ray received a Bachelor of Science degree from Louisiana Tech University, majoring in Computer Science and a Master of Science degree in Systems Management from the University of Southern California. He continued his professional training in real estate, earning the Certified Commercial Investment Member (CC(M) and the Graduate of the Realtor Institute (GRI) designations. 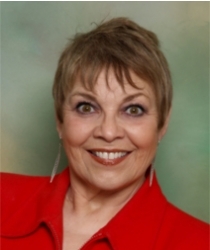 Judy became a licensed Broker in 1976 and owner her own company, Freeman and Company, for many years, and later joined Coldwell Banker Alfonso, becoming the General Manager until 2005. Her leadership achievements are many. She was awarded the Office Manger’s Award for Excellence, managing the #1 Coldwell Banker Office in the State of Mississippi and the #1 company in the State for nine consecutive years. 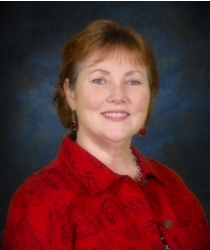 Judy served as President and Member of the Board of Directors of the Mississippi Commercial Association of REALTORS® and sat as Chairman for numerous state committees. On a local level, she has served the Gulf Coast Association of REALTORS® as President of the Gulf Coast Multiple Listing Service and was recognized as REALTOR® of the Year in 2005. Judy continued her professional training throughout her career, earning the following national real estate designations: Certified Commercial Investment Member (CCIM), Certified Residential Broker (CRB), Certified Residential Specialist (CRS), and Accredited Buyer Representative (ABR); and she served as an instructor for The Mississippi Association of REALTORS®, The Mississippi Real Estate Commission, The Gulf Coast Association of REALTORS®, The Biloxi-Ocean Springs Association of REALTORS®, and Coldwell Banker Alfonso Residential and Commercial Divisions. Having managed a real estate office for almost 10 years, Karen brings a broad base of knowledge to the classroom. She was an active and successful agent before stepping in to management, so she has “walked in an agent’s shoes” and knows what it takes to be successful in the real estate business. She has served as President of the Gulf Coast Association of Realtors, was named Realtor of the Year in 2010 and won the Realtor Spirit Award in 2009. She has been a committee chairman and member of several Mississippi Association committees, as well as serving on the Communications Committee of the National Association. Prior to moving to the Mississippi Gulf Coast, she lived in Dallas, TX and worked for a large corporation in administration and marketing. Karen’s goal as a manager is to make sure her agents are knowledgeable and confident in the practice of real estate and have all the tools they need to be successful. 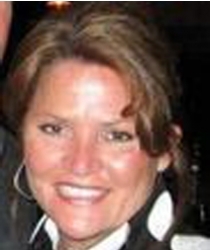 Lisa began her real estate career in 1994 and soon obtained her Broker license. She was a top producer and received many awards and honors, including Million Dollar Round Table and REALTOR® of the Year. Lisa managed two Coldwell Banker offices, served her local board as Director and President, and represents the Southern District of the Mississippi Association of REALTORS® as Vice President. One of her favorite quotations, “Only the educated are free,” exemplifies her belief in the power of education, and she continues to be a student of real estate earning many coveted national designations and certifications. Among those are an ABR, Accredited Buyer Representative; CRB, Certified Real Estate Brokerage Manager; CNS, Certified Negotiation Specialist, E-Pro, technology specialist; SRS, Seller Representative Specialist; and GRI, Graduate of the REALTOR® Institute. Lisa served as an instructor for the Mississippi REALTOR® Institute; a National trainer for the Floyd Wickman Team, where she was a co-developer of the training program, StarMaker; a certified trainer for Coldwell Banker; and currently serves as director for The Real Estate University where she develops training programs and instructs. One of her favorite places to be is in a classroom either as student or instructor, and she invites you to sign up today to begin an exciting career in real estate or to strengthen your knowledge and increase your skill if you are already licensed. Cynthia S. Joachim was licensed as a broker in 1977.She received her Bachelors of Arts degree from the University of Mississippi, a law degree from the University of Mississippi School of Law, and an MBA from Tulane. Her professional designations from the National Association of REALTORS® include the ABR, ABRM, CIPS, CRB, CRS, GRI, TRC and e-PRO..
She holds membership in the National Association of REALTORS®, the Mississippi Association of REALTORS® Commercial Board, the Biloxi-Ocean Springs Association of REALTORS® and Gulf Coast Association of REALTORS®. Cynthia is presently serving as the National Association of REALTORS® Region V Vice President. She has chaired the Legal Action Committee, the Education Committee, the License Law Committee, and the International Forum; being the only REALTOR® in the State of Mississippi to have chaired these high profile committees at the national level. She serves on the Mississippi Association of REALTORS® Board of Directors and several committees for the State Association. Cynthia is a past president of the Biloxi Ocean Springs Association of REALTORS®, and served as president of the CRB CRS State Chapter of Mississippi and the State Chapter of the Women’s Council of REALTORS®. Her other awards and merit include the REALTOR® of the Year by the Biloxi-Ocean Springs Association of REALTORS®, The Gulf Coast Chapter of the Women’s Council of REALTORS® Women of the Year, and the State REALTOR® of the Year by the Mississippi Association of REALTORS®. Kenneth was raised in the real estate business. His father and his grand-father have been practicing real estate law on the Coast for over 40 years. After graduating from Louisiana State University in 2005, Kenneth entered the Commercial Real Estate world and sold over $5 Million in real estate his first year. 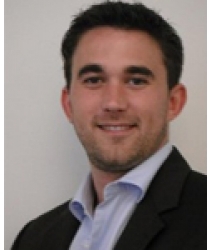 Since, Kenneth has continued to refine his skills and continually is one of the top producing agents in the Company. In 2008 he used his Marketing Degree to publish a commercial real estate magazine targeting real estate in South Mississippi. Over 40,000 copies have been produced and it is distributed quarterly to business owners and decision makers in the community and the region. Kenneth believes that to be the best you must be an “Expert in the Market” and he strives everyday to keep his finger on “The Pulse” of commercial real estate in South Mississippi, which is the name of his magazine. 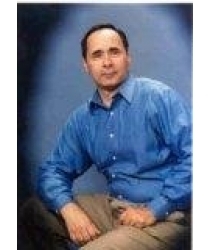 In July of 2010, Kenneth was promoted to manager of the Commercial Division for Coldwell Banker Alfonso Realty, LLC. Walter is recognized as a pioneer of the commercial industry in Mississippi. He is a graduate of the Wharton School CEO Leadership program and earned a Bachelor of Science degree from the University of Southern Mississippi in Business Administration. Through the Mississippi Association of REALTORS®, serving as President, REALTOR® of the Year, Board of Directors, and Chairman of numerous committees; the National Association of REALTORS®, serving on the Board of Directors and numerous committees; and the Commercial Investment Real Estate Institute (CCIM), serving as a two-term State President and Chairman of the Professional Standards Committee REALTOR®; Walter has proven his role as a leader. Before moving to the gulf coast, he was the President of the Natchez Board of REALTORS® and recognized as REALTOR® of the Year. His professional designations include the Certified Commercial Investment Member (CCIM), where he specialized in the analysis of real estate investments; and the Certified Residential Broker (CRB). 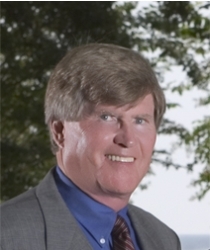 After graduating with a Bachelor of Business form Western Illinois University, Mike began marketing land in the Jackson and Biloxi Mississippi areas with Conrad Martin Real Estate in 1979. He took about a decade off from the business to navigate USAF C-130′s (big transport planes) all over the planet. He is a veteran of military actions in Panama, Iraq, Bosnia, and Hattie. During his military career, he cross trained into contracting where he worked on Government contracts on everything from base street repair (March AFB, Riverside, California ) to space based sensor systems (Aerojet Electronic Systems Division, Azusa, CA). During his hiatus from real estate, he earned an MBA from the University of Southern Mississippi, and a Master of International Management from Thunderbird, a graduate school specializing in international business, located near Phoenix, AZ. Mike returned to real estate and the Mississippi Gulf Coast in the mid 90′s. He specializes in large tracts of land, industrial sites, and thanks to the CCIM Institute, income-producing properties. Mike has a background as an appraiser and worked appraisals for commercial, timber, residential, U.S. Government and industrial interests. For five years, Mike taught real estate investment, principles and law at the Jackson County Campus of theMississippi Gulf Coast Community College. Mike is a part of the instructor cadre of the Mississippi Realtor Institute presenting pre-license and continuing education courses. Lynn has been a Broker since 2001 and is currently a top producing agent for Coldwell Banker Alfonso, LLC, earning a Gold Award and Platinum Award for seven consecutive years. She is a graduate of the Coast REALTORS® Leadership, a member of the National Association of REALTORS®, the Mississippi Association of REALTORS®, and the Biloxi-Ocean Springs Association of REALTORS®. Lynn graduated for the University of Southern Mississippi and continued her professional training, earning an Accredited Buyer Representative (ABR) and Certified Residential Specialist (CRS) designations and received extensive training in commercial and foreclosure properties and relocation services. She served as new agent trainer for Preferred Properties and currently conducts agent seminars in marketing, mathematics, and technology.